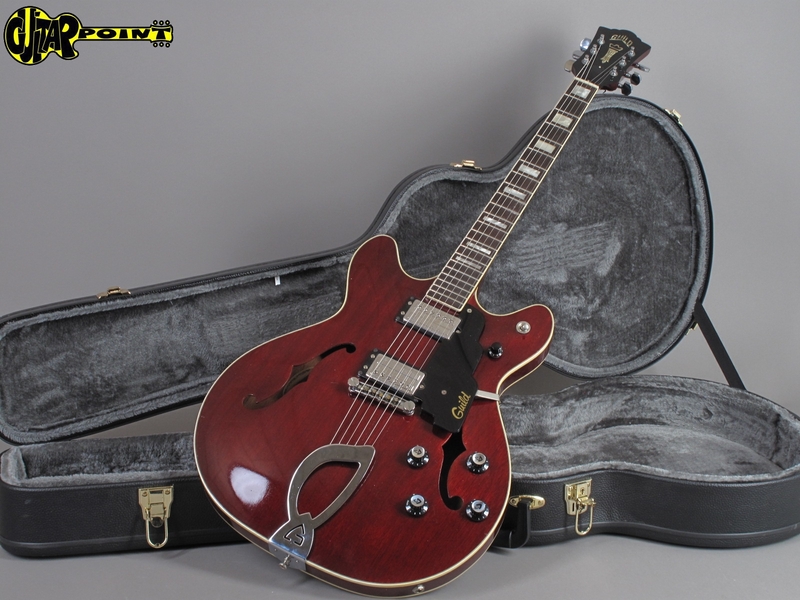 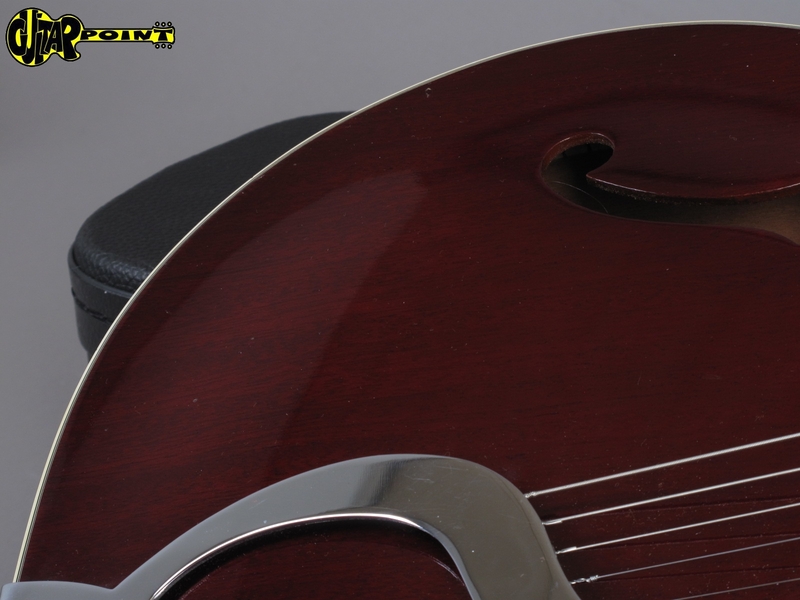 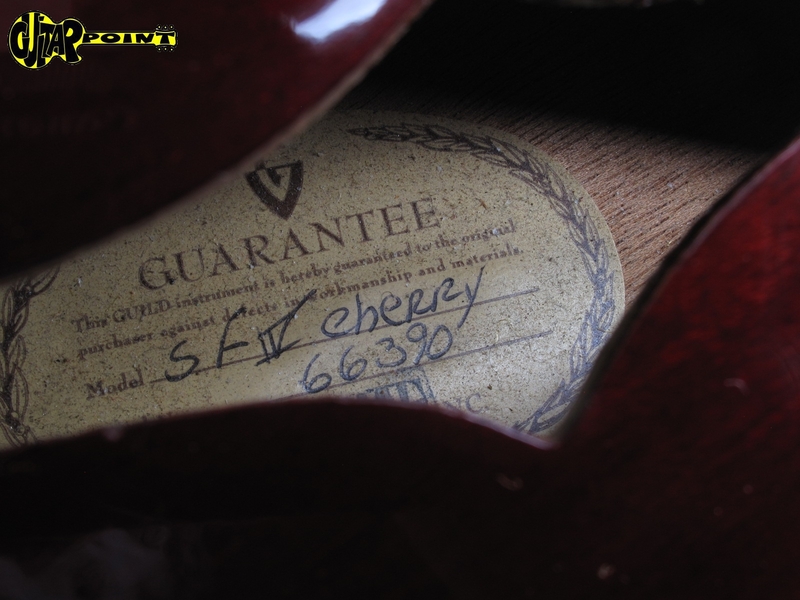 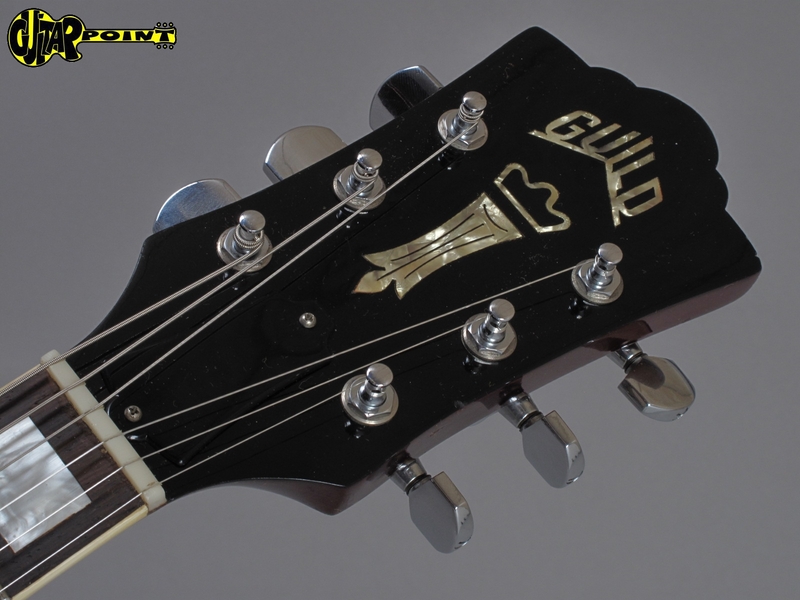 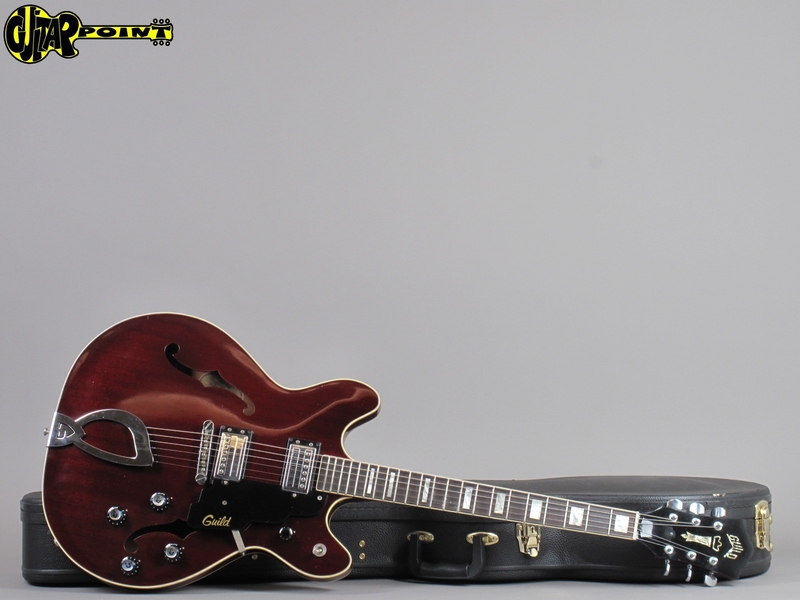 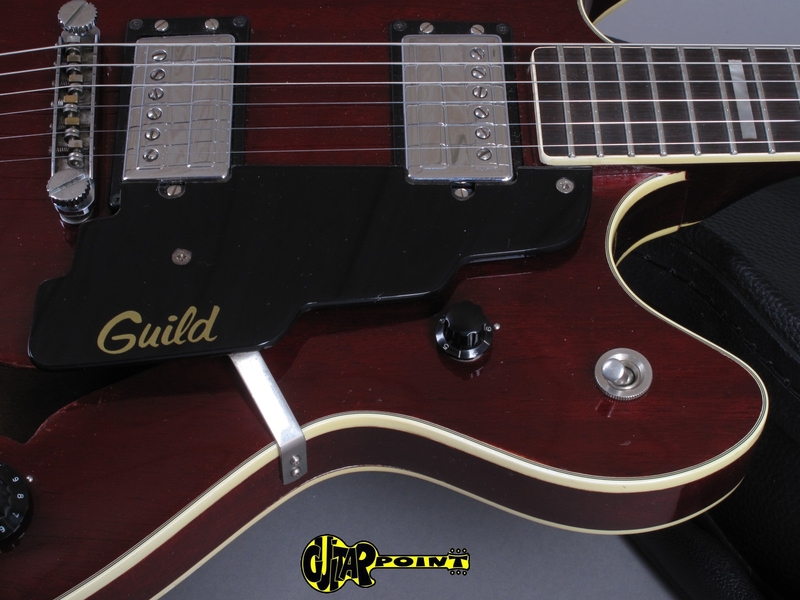 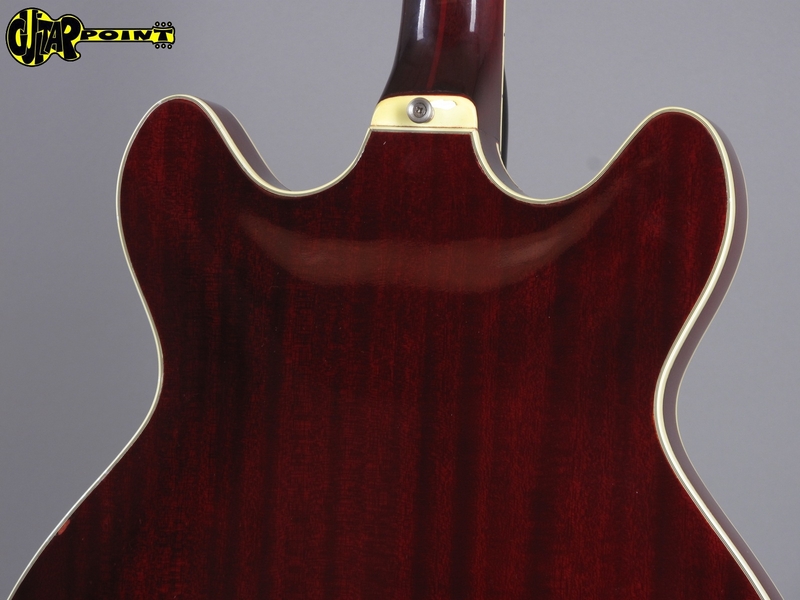 Super clean 1972 Guild Starfire IV in Cherry - finish, all original and in excellent condition for its age. Semi-hollow body with double-cutaways, the Starfire is undisputed the best-seller of all Guild guitars. 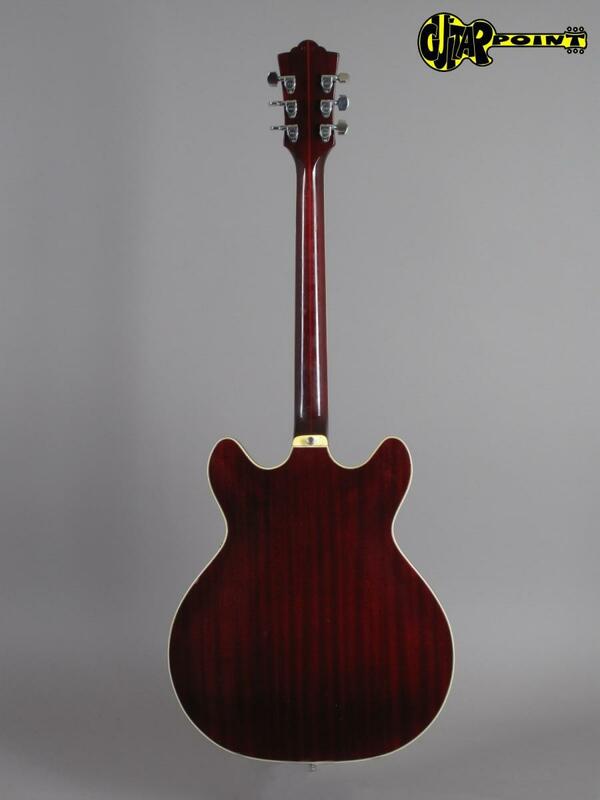 Allready the later version, when neck-joint moved from 16th to 18th fret (better access to the upper fretboard) and "big" humbuckers! 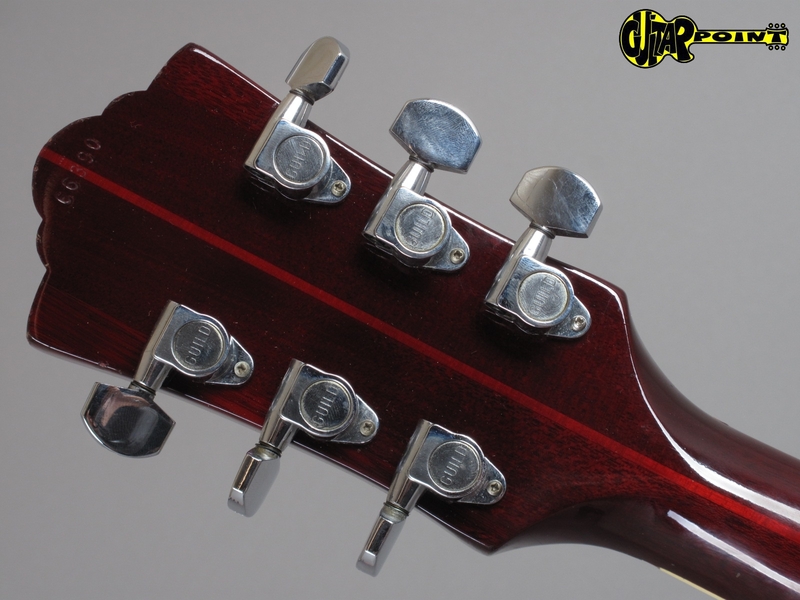 The instrument is lightweight, easy to play, and very versatile where tone quality is concerned. 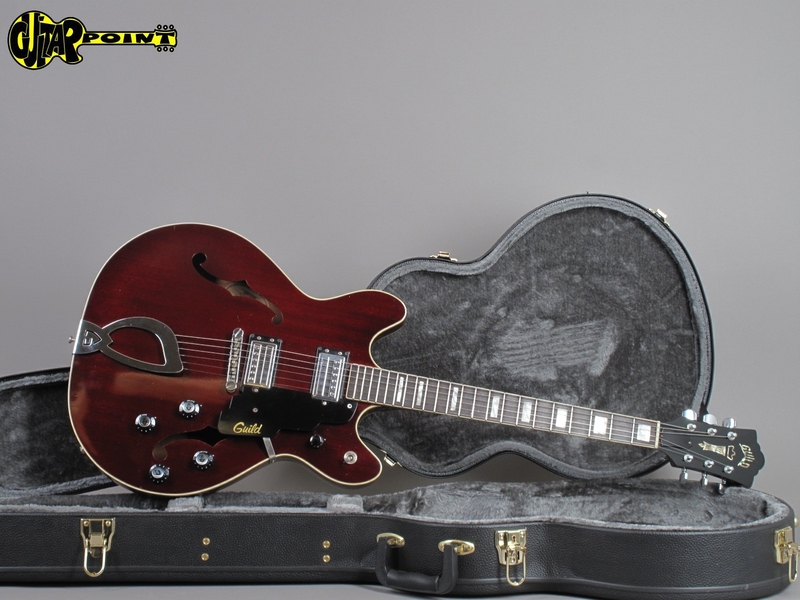 Incl.newer black hardshell case w/grey interior.